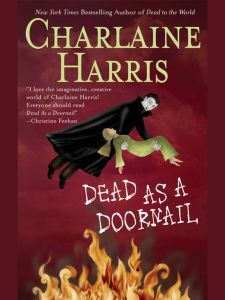 Dead as a Doornail (Southern Vampire Mysteries, Book 5) continues the story of psychic waitress Sookie Stackhouse. In this book Sookie is trying to figure out who is shooting the shifters. Sookie is also dragged into the werewolve tradition of trying to find a new pack leader. I found this book like the others in the series a quick entertaining book.